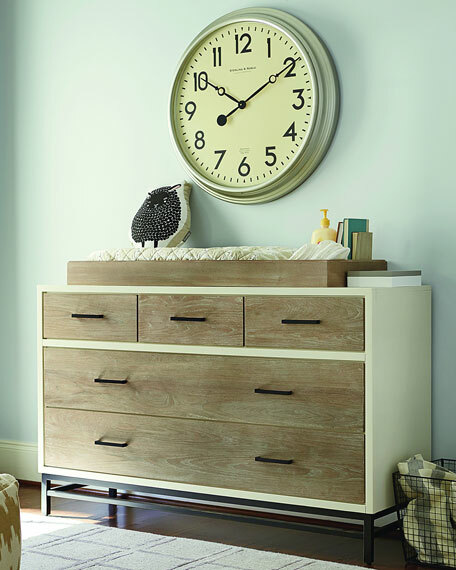 Bloom Luxo Dresser features a curved European design that will complement the Luxo Crib and complete your Luxo nursery. 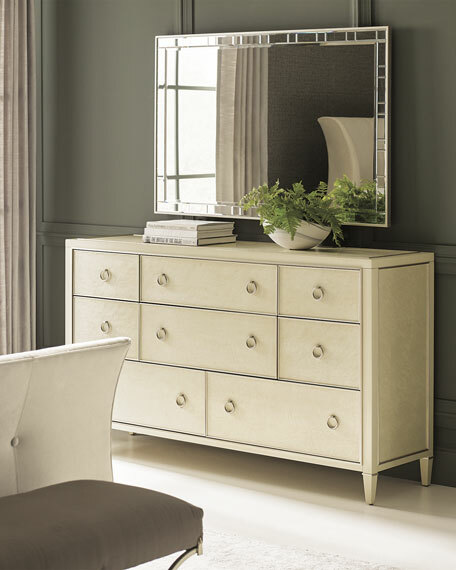 Durable, solid Birch wood construction (no assembly required). 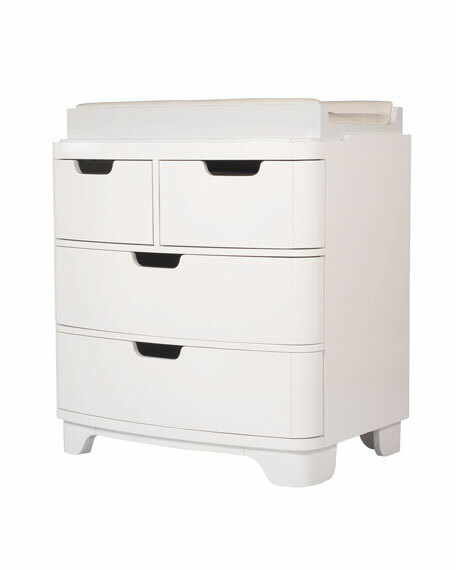 Fits Bloom universal change tray to transform to change station. 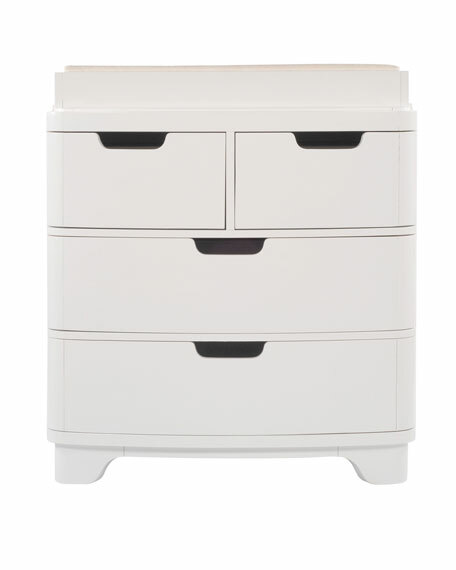 Four extra-large slow-closing drawers with hidden rails. 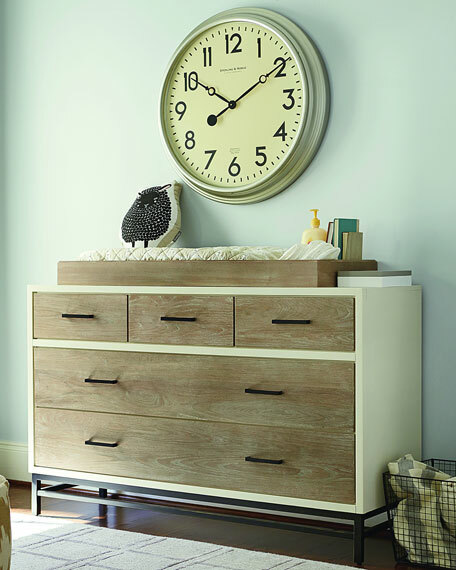 Transforms from a sophisticated cabinet to a change station with bloom universal change tray (sold separately). Dimensions: 91.5cm/36"L x 63cm/25"W x 94cm/37"H.